Make a statement in your garden with our beautiful oak and sweet chestnut Large Round Table and High Back Armchairs. Ideal for sharing the pleasures of your garden with family and friends. 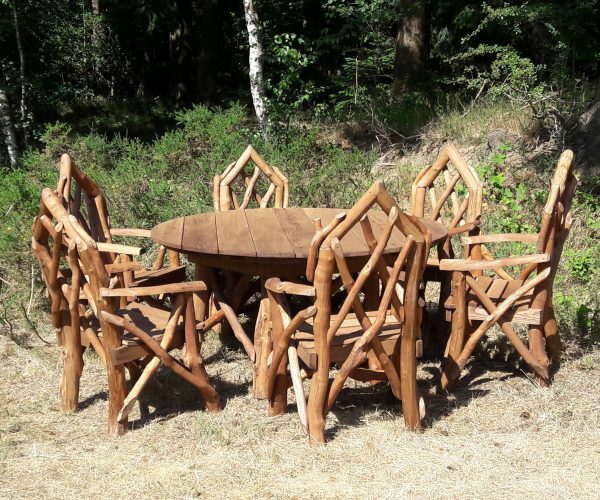 The table can be made in different sizes to suit the space in your garden and the number of chairs you wish to accommodate. The table shown is 160cm/63″ in diameter which is best suited to 6 chairs. We also offer a 120cm/47″ table that is designed to hold 4 chairs.